Global technological innovation is fast becoming as diverse, fast-paced and decentralized as the technology industry itself. Science Technology and Advisory Council-Silicon Valley (STAC-SV) and Global Filipino Network (GFN) have joined efforts to host a Speaker Series event at this year’s Global Innovation Summit Week. The event is also in partnership with the Berkeley Entrepreneurs Association (BEA). “Global Innovation Week from February 15 to 21 is a celebration of innovation ecosystems. Its anchor event, Silicon Valley Global Innovation Summit gathers leading entrepreneurs, executives, scientists, inventors, venture capitalists, journalists, investors, policy makers, social entrepreneurs, and innovation thought leaders who will share experiences, successes, and failures, and develop foundations for best practice. The “Embracing Multicultural Entrepreneurship” Speaker Series on February 20 will showcase successful Filipino-Americans who have nurtured innovation and entrepreneurship, ideas and partnerships. During this panel discussion they will share some of the experiences, challenges, and opportunities of ethnic minority “techies.” The event is scheduled on Friday, February 20th from 2:00 p.m. to 5:00 p.m. at the UC Berkeley Andersen Auditorium, Hass School of Business, 2220 Piedmont Avenue, Berkeley, California. Laskowski applauds STAC’s ongoing support of Filipino entrepreneurs. Yet she also recognizes the dramatic potential of such programs to increase networks, collaborations and material support to individuals. “We are very happy to partner with the STAC Silicon Valley organization and bring these FilAm entrepreneurs together,” Global Filipino Network founder Arnold Pedrigal said. Marc Loinaz is the founder of Aeluros, Inc.
Marc Loinaz, Ph.D., Founder of Aeluros, Inc. (acquired by Netlogic/Broadcom). Loinaz was born in Manila, Philippines and grew up in Makati City. He is an electrical engineer who lives and works in Silicon Valley. He received a B.S. degree in Electrical Engineering from the University of Pennsylvania and M.S. and Ph.D. degrees, in the same field, from Stanford University. Loinaz was a member of the research staff at Bell Laboratories where he led a team that demonstrated the world’s first single-chip color digital video camera in 1997. In 2001 he co-founded Aeluros Inc., a semiconductor company that pioneered 10-Gb/s serial communication chips that are now widely used in cloud computing facilities. Victor Oliveros, CEO and Founder of Tiptop Health and Winner of $1.0M Salesforce Hackathon. Oliveros is a serial entrepreneur and is currently the CEO of Tiptop Health. He and his team won the Salesforce.com $1 Million Dollar Hackathon in 2013 by re-creating Healthcare.gov. He has a background in computer engineering and immigrated to the Bay Area from the Philippines at age 15. Tisa Mendoza, Founder and Visioneer of Buzzledom, Inc. Mendoza worked 12 years for high-tech corporations in Silicon Valley before transitioning to lifestyle coaching. Her coaching and public speaking work gained her the reputation as a “Healthy Living Motivator” and was the catalyst for her to produce a weekly radio show, television segments (aired on KRON4-TV in San Francisco), and media-rich web content. Tisa’s company, Buzzledom, will be releasing a community-based sustainable crowdsourcing web app that allows its users to collect all their faves, connect with others, and contribute in positive ways to their community. 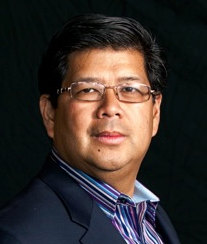 Rene Buhay, Co Founder of American Science Products. Buhay brings to American Science Products (ASP) over 25 years of an outstanding track record in achieving hundreds of millions in sales with multiple companies via his global channel representing over 80,000 retail storefronts worldwide. Prior to ASP, he was SVP of JK Imaging/Kodak where he managed sales for the Americas, South Asia and Middle East/Africa. Prior to Kodak, he was President of RedDot Imaging/Agfaphoto where he expanded distribution to 30 countries within 12 months. Prior to RedDot, he was SVP at General Imaging/ GE wherein he grew the business from $0-$150 Million in 18 months. Over the years, he has held senior management positions at Ricoh, Samsung and ArcSoft. M. Christina Laskowski, President of STAC – Silicon Valley. Laskowski serves as a strategic advisor and management consultant to consumer and technology growth companies, business leaders and government organizations. Ms. Laskowski has extensive business development, operations management, and strategic execution experience. 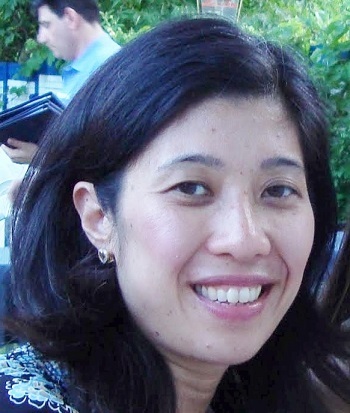 Her career includes 16 years as an investment and M&A banker at ValuQuest International, FBR Capital Markets, East Peak Advisors and Pacific Growth Equities; she also has three years in equity research at Hambrecht & Quist. She has served more than 60 clients helping to raise in excess of $2.0 billion. Christina is the co-moderator for this panel discussion. Vivian Zalvidea Araullo, Moderator, Executive Director, West Bay & Co-Founder of GFN. Araullo is the moderator for “Embracing Multicultural Entrepreneurship”, the Executive Director at the San Francisco nonprofit West Bay Pilipino Multi Service Center, and a multi-awarded, Emmy award-winning broadcast journalist who is currently a correspondent for INQUIRER.net. Vivian is also Chairman of the Board of the Global Filipino Network.